The soundtrack of Need for Speed Carbon features a solid mix of hip-hop, rock, and electronic music to get your blood pumping during a race. The game released on November 1st, 2006 on the OG Xbox, Xbox 360, PC, PS2, and PS3. 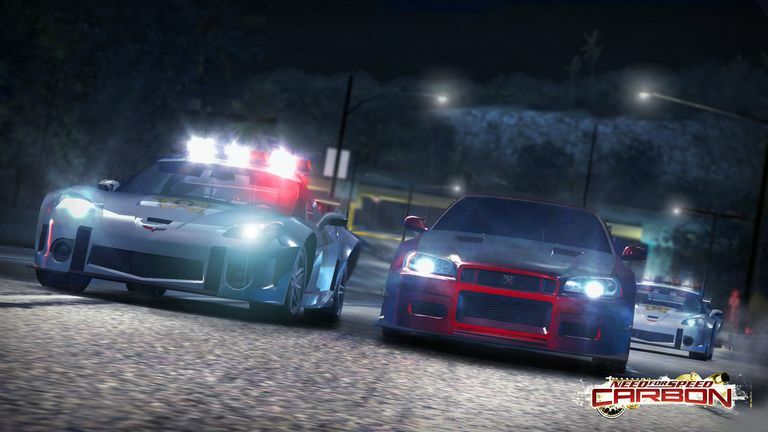 Need for Speed continued the illegal street racing theme of the NFS Underground series but also added high-stakes, high-risk drifting through mountain roads similar to the climax of "Fast and Furious: Tokyo Drift". It also included great customization options as well. With solid gameplay, great visuals, and tons of features, it was a good follow-up to the massively successful Underground games. It didn't take off at retail, however, as it just missed out on taking full advantage of the import racing craze which was dying down at the time. Sure, we remember "Tokyo Drift' fondly today, but back in 2006 it was already old news to mainstream audiences. If you liked Need for Speed Carbon, there are lots of more recent Need for Speed games you could check out such as NFS Rivals and NFS Most Wanted, though none of them really captured the street racing and custom import cars scene quite as well. In many ways, the Forza Horizon series has taken over the mantle for the crazy street racing and customization them from Need for Speed with two great games and one solid "The Fast and the Furious" licensed spin-off. What Are the PS2 Cheats for 'Need for Speed: Carbon'?